Track your targets across the galaxy with the Boba Fett Starter Set for Star Wars: Destiny. 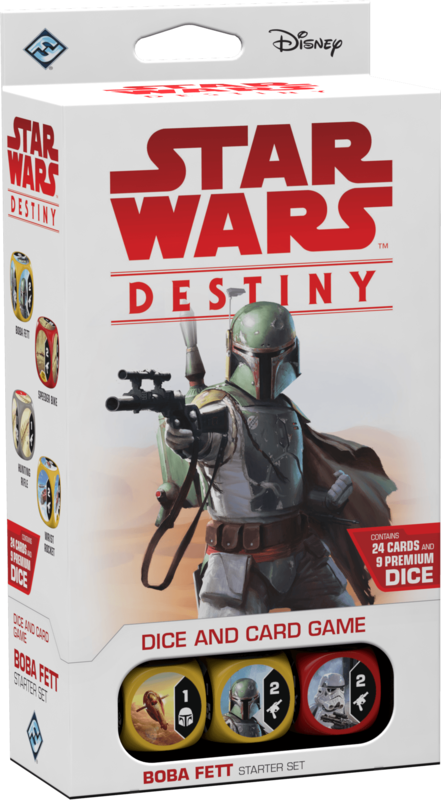 The Boba Fett Starter Set features twenty-four new cards and nine premium dice, providing the perfect jumping on point for new players to Star Wars: Destiny. Star Wars: Destiny – Boba Fett Starter Set Track your targets across the galaxy with the Boba Fett Starter Set for Star Wars: Destiny.